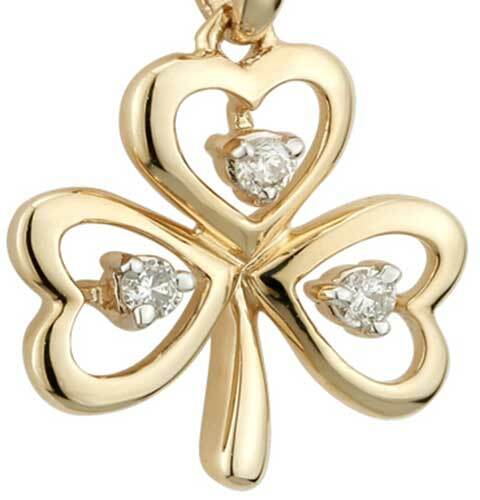 Gold shamrock necklace are featured in either yellow or white gold or from a combination of the two metals. 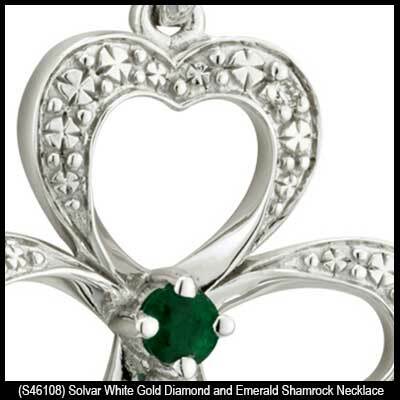 Amplify your Irish statement with an emerald shamrock pendant or choose from several with diamonds; we offer both! 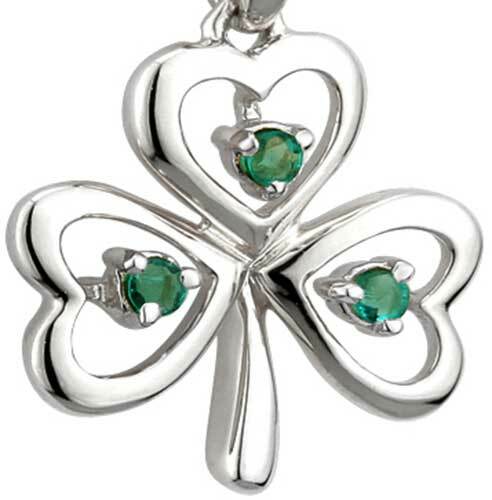 The Irish Gift House features many preferences including Celtic shamrock necklaces and those with green enamel accenting. 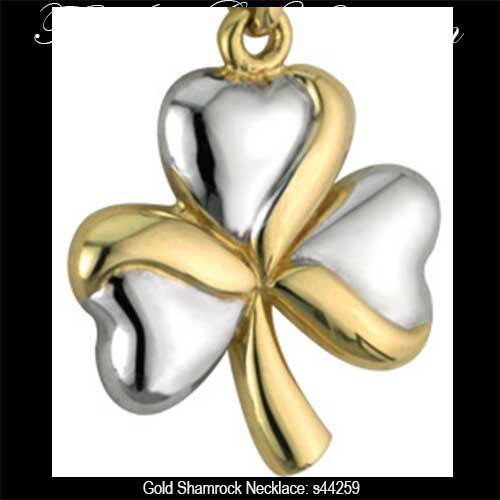 Naturally, we also offer traditional gold shamrock pendants, so no matter what you desire we almost certainly have the design of your dreams. 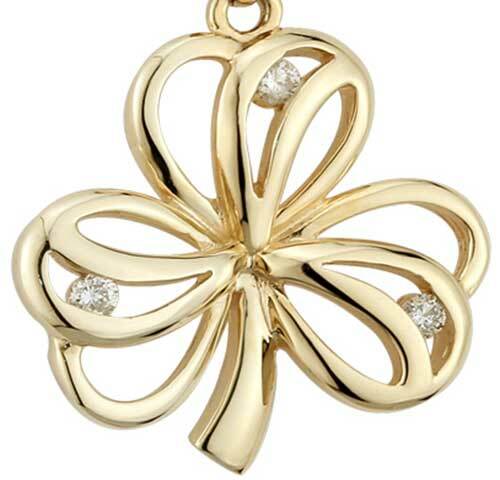 Gold shamrock pendant features leaves that are studded with over 1/3 caret diamonds. 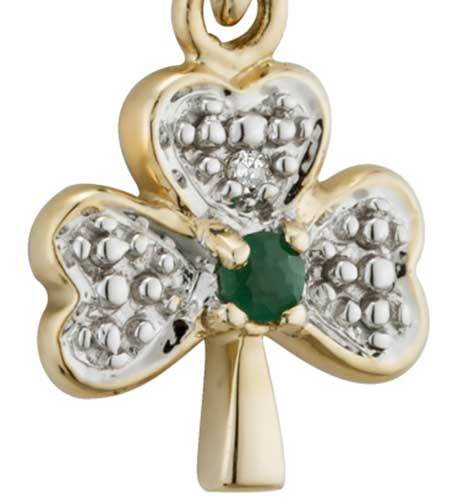 Gold shamrock necklace features emerald leaves with diamond accenting. 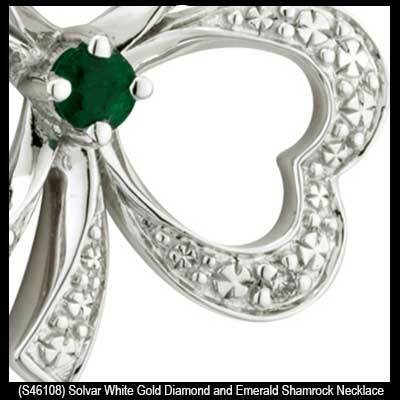 Shamrock necklace is a 14K gold design that features an emerald along engraved white gold borders with diamond accenting. 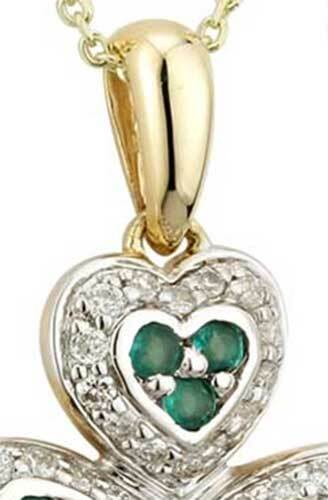 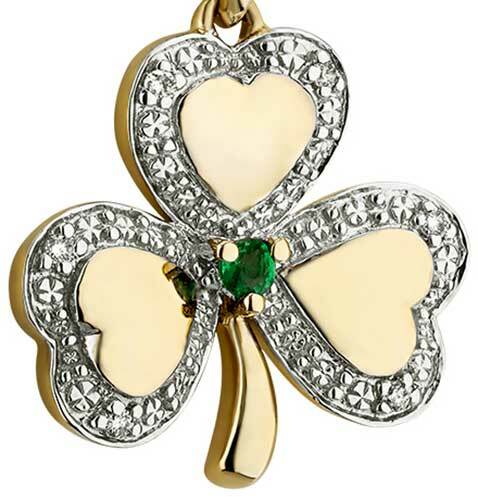 Shamrock pendant is a 10K gold design that features an emerald along engraved white gold borders with diamond accenting. 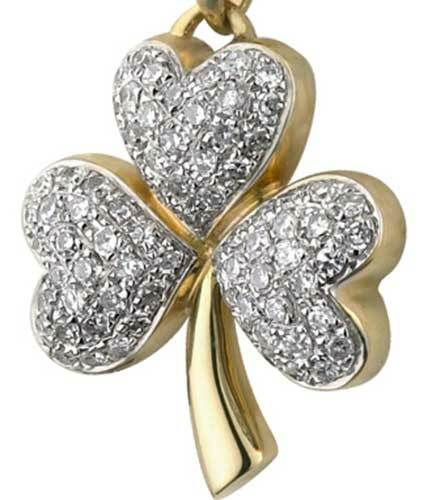 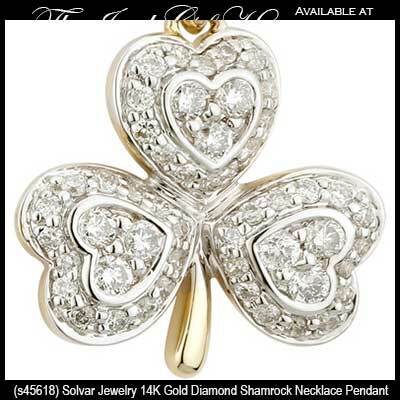 Shamrock pendant features 14K gold construction with a diamond in each leaf. 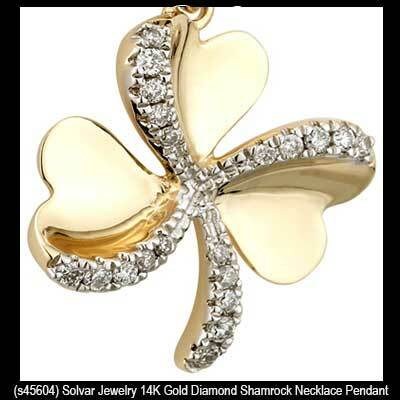 Shamrock pendant features 14K gold construction with diamond accented filigree leaves. 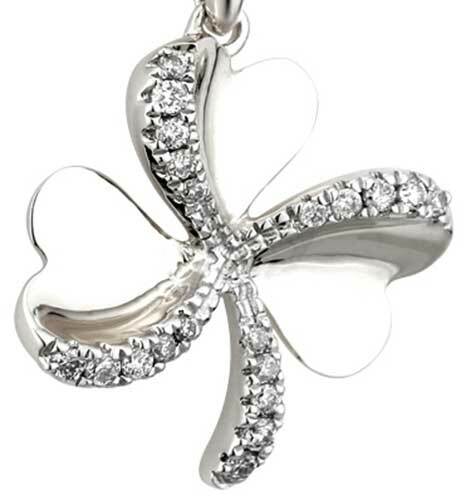 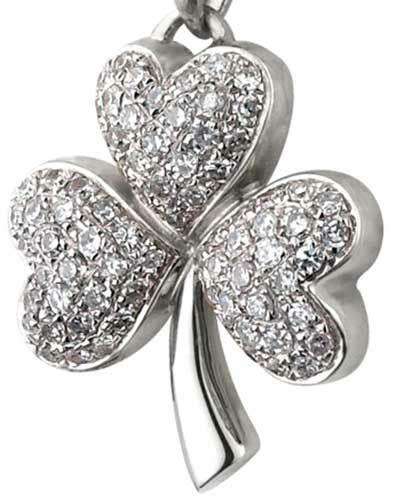 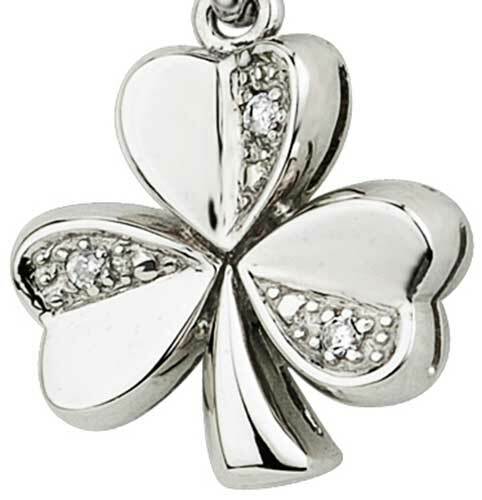 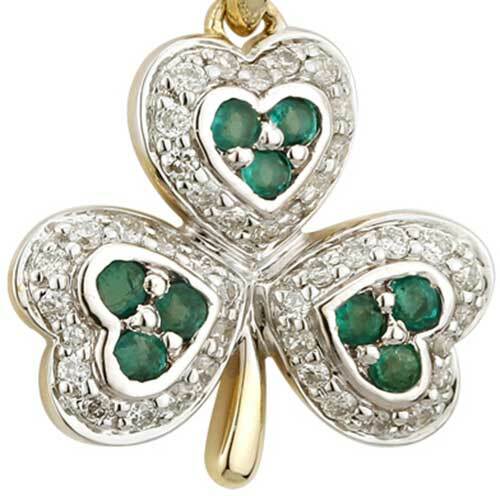 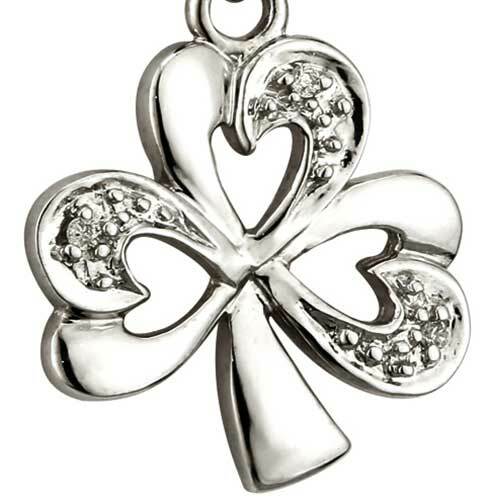 Shamrock pendant features 14K white gold construction with an emerald in each leaf. 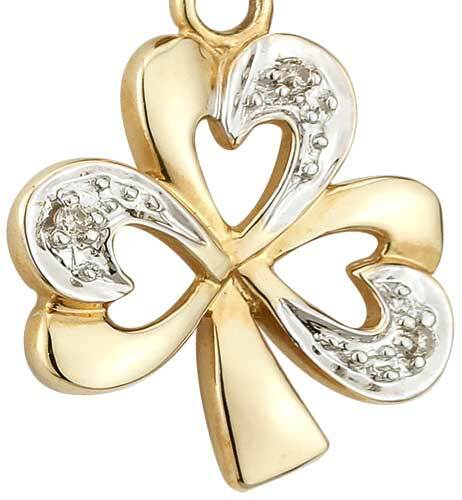 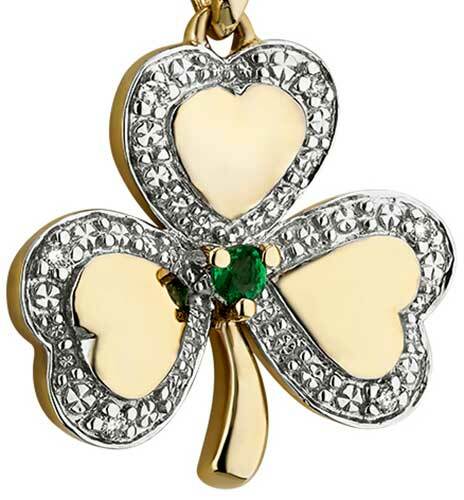 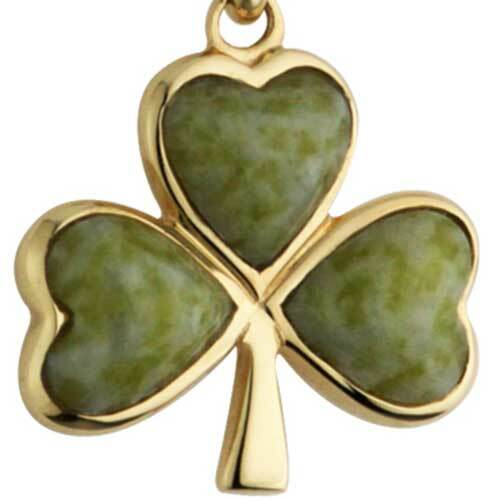 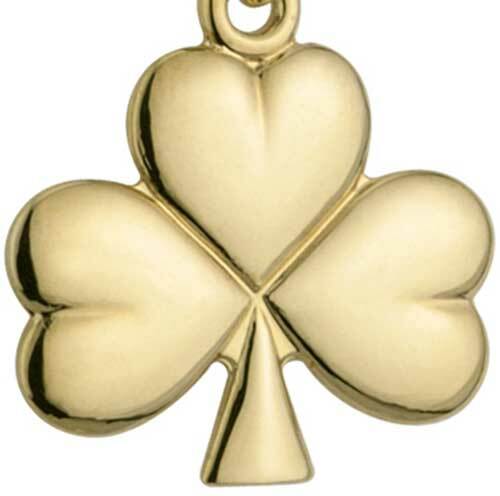 If you have your own chain you may also wish to take a look at our selection of gold shamrock charms. 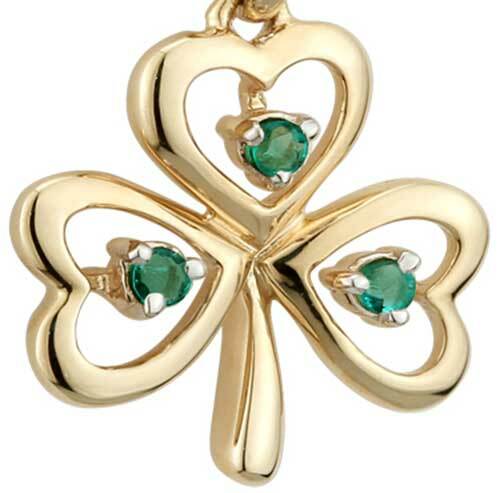 Once you have made your selection you may wish to add a pair of gold shamrock earrings; together with your necklace or charm at together they will make a gorgeous set. 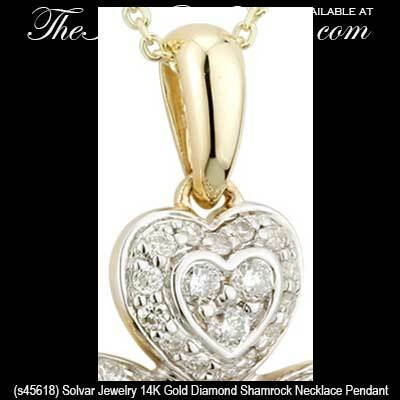 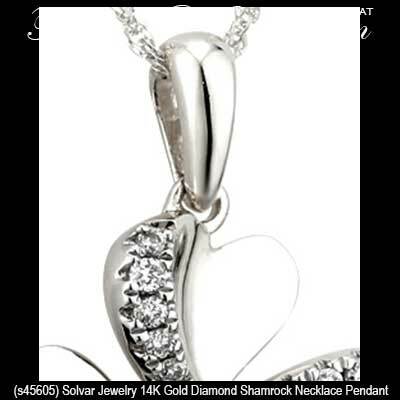 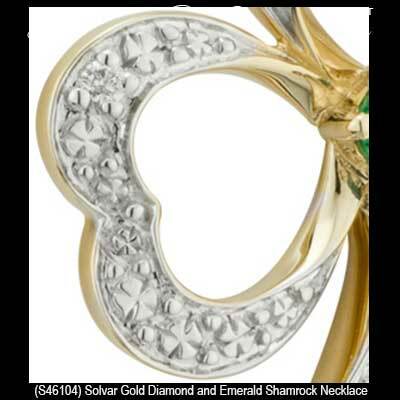 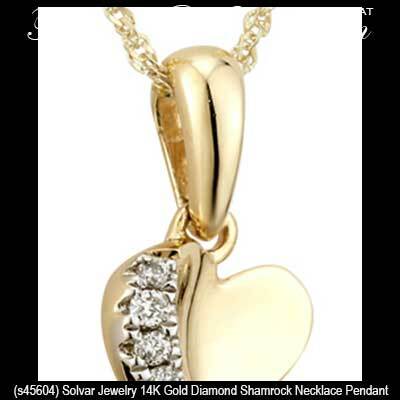 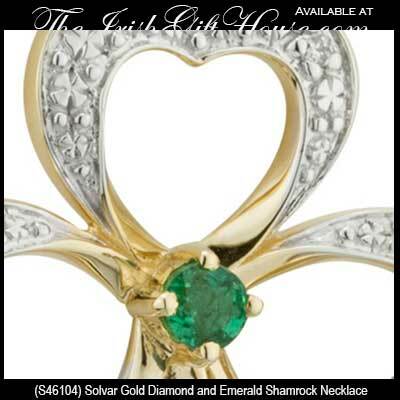 The Irish Gift House features gold shamrock necklaces from Solvar Jewelry.